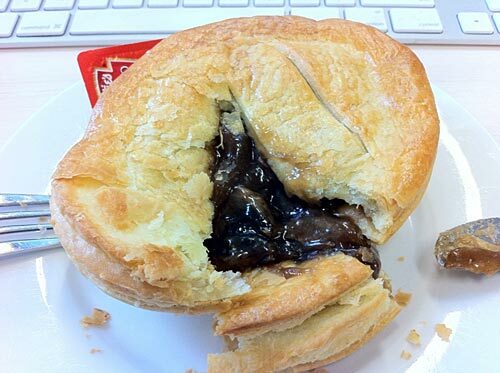 Judging takes place in Auckland tomorrow to decide the Bakel’s Supreme Pie Award. There have been over 4,400 entries from 380 bakeries across the nation. Bay of Plenty / Coromandel has been the most prolific area for entries – a total of 598 pies have come from this region alone. The results are announced at a swish function on Tuesday 26 where pie may be on the menu – or not. The pies are ‘blind judged’ by an expert panel comprising of Grant Wilson (0wner of the renowned Maketu Pies), and celebrity chef Allyson Gofton. The pies will be judged in 11 categories which include mince and gravy; steak, vegetables and gravy; steak and cheese; chicken and vegetables; gourmet meat; vegetarian; bacon and egg; mince and cheese; gourmet fruit; seafood; and commercial wholesale. Forty five awards are up for grabs, with prizes including $7,500 cash and the coveted Supreme Piemaker Trophy, while Gold award winners receive $1,000 cash. 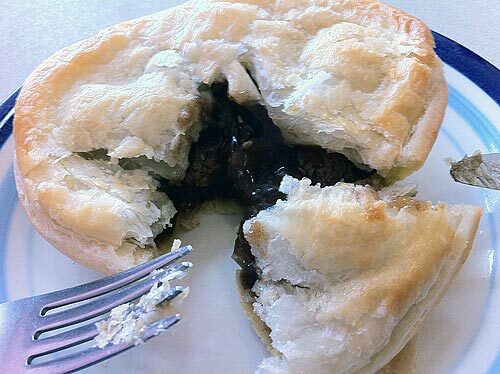 Believe it or not the pie market in New Zealand is worth $140 million annually according to the latest Economic Survey. If pies average $4 each that’s 35 million pies consumed each year. I’ve been a fan of the Supreme Bakery pies in Wellington – a regular award winner up until last year when the bakery changed hands. Always a very flaky pastry with good quality ingredients. I have eaten twice at Jackson’s Bakery and Cafe in Havelock North. Jackson’s have won many awards in previous Bakel’s Pie competitions. Both times I have eaten there I have been disappointed with the quality, especially the heat of the product. Tepid pies are NOT a delight to eat. So, it goes to show that pies entered for the competition are not necessarily the pies you are going to get if you eat at the source. Regardless of this I’m still keen to hear who takes out the Supreme Award, and then to eventually sample the product. 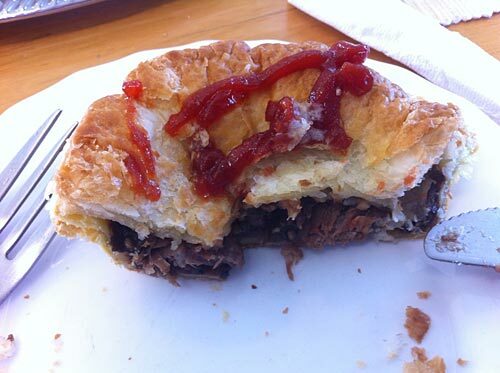 Steak and mushroom pie - Dannevirke Bakery and Cafe - very nice! 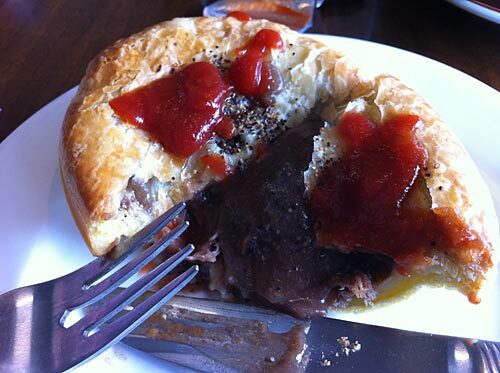 Steak and mushroom pie - Cozy Cake Kitchen, Manners Street, Wellington - delicious! Attention Everyone. 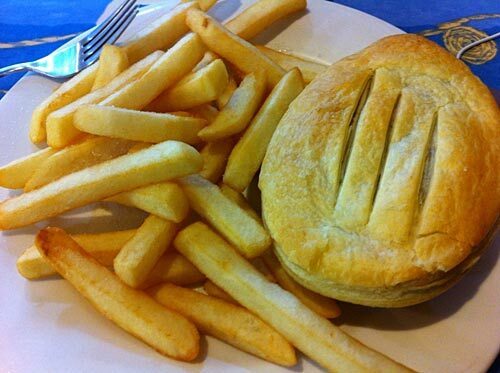 I have found the best chicken pie in New Zealand!!! 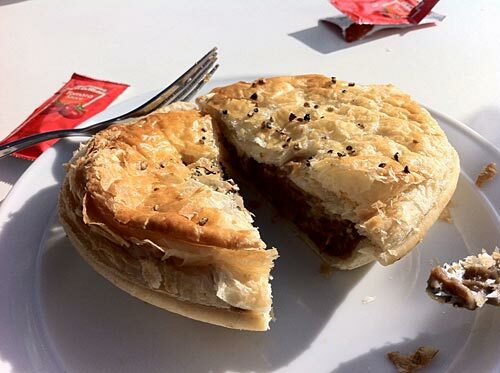 Aroma Shed in Pakuranga makes the best pies I EVER tasted.